I might have been ten, eleven years old – I cannot say for certain – when my first master died. No one grieved him; in the fields we hung our heads, keen­ing, grieving for ourselves and the estate sale that must follow. He died very old. I saw him only at a distance: stooped, thin, asleep in a shaded chair on the lawn, a blanket at his lap. I think now he was like a specimen preserved in a bottle. He had outlived a mad king, outlived the slave trade itself, had seen the fall of the French Empire and the rise of the British and the dawn of the industrial age, and his usefulness, surely, had passed. On that last evening I remember crouching on my bare heels in the stony dirt of Faith Plantation and pressing a palm flat against Big Kit's calf, feeling the heat of her skin baking up out of it, the strength and power of her, while the red sun­light settled in the cane all around us. Together, silent, we watched as the overseers shouldered the coffin down from the Great House. They slid it rasping into the straw of the wagon and, dropping the rail into place with a bang, rode rattling away. That was how it began: me and Big Kit, watching the dead go free. His nephew arrived one morning eighteen weeks later at the head of a trail of dust-covered carriages driven directly from the harbour at Bridge Town. That the estate had not been sold off was, we thought at the time, a mercy. The carriages creaked their slow way up the soft embankment, shaded by palm trees. On a flatbed wagon at the rear of the caravan sat a strange object, draped in canvas, as large as the whipping boulder in the small field. I could not imagine its purpose. All this I remember well, for I was again with Big Kit at the edge of the cane—I rarely left her side in those days—and I saw Gaius and Immanuel stiffly open the carriage door and extend the step. I could see, at the Great House, pretty Émilie, who was my age, and whom I would glimpse some evenings dumping the pans of wash water into the long grass outside the scullery. She descended the first two steps of the verandah and, smoothing out her apron, fell still. The first man to emerge, carrying his hat in his hands, had black hair and a long, horselike jaw, his eyes darkened by heavy brows. He raised his face as he descended and peered around at the estate and the men and women gathered there. Then I saw him stride back to the curious object and walk around it, inspecting the ropes and canvas. Cradling a hand to his eyes, he turned, and for a frightening moment I felt his gaze on me. He was chewing some soft-textured thing, his jaw working a little. He did not look away. But it was the second man, the sinister man in white, who seized my attention. This was our new master—we all could see it at once. He was tall, impatient, sickly, his legs bending away from each other like calipers. Under his three-cornered white hat a shock of white hair burst forth. I had a sense of pale eyelashes, an uncooked pallor to his skin. A man who has belonged to another learns very early to observe a master's eyes; what I saw in this man's terrified me. He owned me, as he owned all those I lived among, not only our lives but also our deaths, and that pleased him too much. His name was Erasmus Wilde. ESI EDUGYAN is author of the novels The Second Life of Samuel Tyne and Half-Blood Blues, which won the Scotiabank Giller Prize, was a finalist for the Man Booker Prize, the Governor-General's Literary Award, the Rogers Writers' Trust Prize, and the Orange Prize. She lives in Victoria, British Columbia. Working in the sticky heat of the Barbados sugar plantation where he was born, 11-year-old field slave Washington Black is terrified when he's made manservant to his master's offbeat brother. But naturalist/explorer Wilde, or "Titch," eagerly introduces Wash to a brave new world and protects him when a bounty is placed on his head, as they flee north along America's Atlantic coast to the chilly Arctic. But in their world, can friendship last? From the author of the international best seller Half-Blood Blues, winner of the Scotiabank Giller Prize and short-listed for the Man Booker Prize. 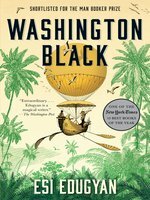 High adventure fraught with cliffhanger twists marks this runaway-slave narrative, which leaps, sails, and soars from Caribbean cane fields to the fringes of the frozen Arctic and across a whole ocean.It's 1830 on the island of Barbados, and a 12-year-old slave named George Washington Black wakes up every hot morning to cruelties administered to him and other black men, women, and children toiling on a sugar plantation owned by the coldblooded Erasmus Wilde. Christopher, one of Erasmus' brothers, is a flamboyant oddball with insatiable curiosity toward scientific matters and enlightened views on social progress. Upon first encountering young Wash, Christopher, also known as Titch, insists on acquiring him from his brother as his personal valet and research assistant. Neither Erasmus nor Wash is pleased by this transaction, and one of the Wildes' cousins, the dour, mysterious Philip, is baffled by it. But then Philip kills himself in Wash's presence, and Christopher, knowing the boy will be unjustly blamed and executed for the death, activates his hot air balloon, the Cloud-cutter, to carry both himself and Wash northward into a turbulent storm. So begins one of the most unconventional escapes from slavery ever chronicled as Wash and Titch lose their balloon but are carried the rest of the way to America by a ship co-captained by German-born twins of wildly differing temperaments. Once in Norfolk, Virginia, they meet with a sexton with a scientific interest in dead tissue and a moral interest in ferrying other runaway slaves through the Underground Railroad. Rather than join them on their journey, Wash continues to travel with Titch for a reunion with the Wildes' father, an Arctic explorer, north of Canada. 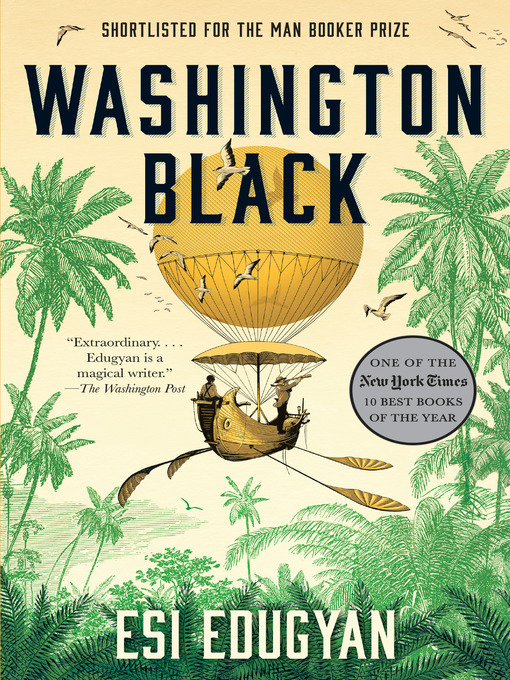 Their odyssey takes even more unexpected turns, and soon Wash finds himself alone and adrift in the unfamiliar world as "a disfigured black boy with a scientific turn of mind...running, always running from the dimmest of shadows." Canadian novelist Edugyan (Half-Blood Blues, 2012, etc.) displays as much ingenuity and resourcefulness as her main characters in spinning this yarn, and the reader's expectations are upended almost as often as her hero's.A thoughtful, boldly imagined ripsnorter that broadens inventive possibilities for the antebellum novel.